Are You Able To Inspect What You Expect? 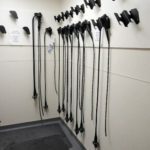 In hospitals, endoscopy, perioperative, sterile processing and infection control teams have done a wonderful job of teaming up together to implement solutions for effective flexible endoscope management. This area has been one of the biggest, if not the biggest, area of scrutiny by Joint Commission and other surveying agencies in the past 1.5 years. We anticipate this will still be a main area of emphasis for the next 3-5 years – this thought is shared by many of the people involved in surveys that we have spoken with. We have seen that these cross-departmental hospital teams across the country have discussed the issues, researched the solutions, and implemented policies and evidence-based processes. Each hospital that we have talked to has implemented slightly different policies, backed by great research. That is a wonderful diversity of solutions, showing that problems can be solved even with variation in protocols. What can’t happen is that protocols are rolled out and then followed only some of the time, or followed only when being watched. A great example I refer to many times is the handwashing problem and solution – if we wash our hands with every patient interaction 100% of the time, the problem disappears. Instead, it is only done in the mid- to high-90% range, and so infection continues to be an issue. In endoscope management, we see that much of the same problem exists. In high volume patient centers, speed matters. Though never intended, speed sometimes causes a step to be missed. It just takes one step to be missed to cause a sentinel event given the complexity in design of endoscopes and the constantly evolving technology. Do you have the tools to ensure your policies are followed 100% every, single time? Doing spot audits are a good start. At least you will catch if there is a blatant issue of missing protocols. What you won’t catch is those one-off times here and there – perhaps an extra patient added in the afternoon; perhaps a case running late; perhaps someone not showing up to work and a replacement filling in. That’s when you find that a step is missed. You need to be able to “inspect what you expect” without having to literally watch over people’s shoulders. A guardian system can help you. Documenting every step, electronically, means when a step is missed, it can be caught and documented. It also means information can be alerted in real-time. For example, in the Mobile Aspects iRIScope system, as soon as a scope hits the 5, 7, or 14-day hangtime period, an alert is sent to the manager of the area to remove the scope and reprocess it. The system also alerts users who may potentially remove the scope from storage that the scope has passed its hangtime protocol. Another example – if a step in reprocessing is missed, the iRIScope system documents it and provides an electronic alert. As we have learned, different hospitals have implemented their policies different ways. The iRIScope system enables the policy steps to be uploaded. Then if any steps are missed, the iRIScope systems provides the alert. This is data, real time workflow, and alerting in action. Data also shows that a small percentage of people are responsible for the vast majority of missed steps. It also shows that almost all users can miss one step, once in a long while. And that’s all that it takes. Are you able to inspect what you expect? Does your data provide assurance that your team members are always following the steps? If not, an electronic system with real time alerting may be worth your time investigating. Your patients’ and employees’ health are at stake.